Sunsilk is having a contest in conjunction with its 15th year of celebration. The contest is open to all Malaysians to tell their hijab journey with Sunsilk, and their aspirations which they would love to achieve in a more creative way. The winner will bring home RM20,000 worth of cash for them to achieve their aspirations. Contest opens to all residents in Malaysia, aged 18 and above. Valid from 7 August 2014 until 14 September 2014. You are required to buy Sunsilk Lively Clean & Fresh worth RM15, and keep the receipt as proof of purchase. 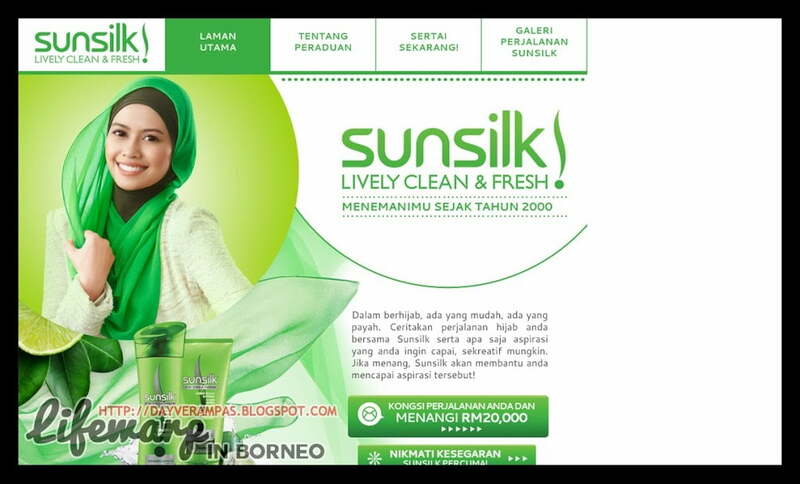 You are required to fill in the form which can be found at their website Sunsilk Menemanimu. You are required to answer all FOUR (4) questions given. You will also be required to tell your aspirations that you would like to achieve, and how you will use the money if you’re selected as the winner of this contest. 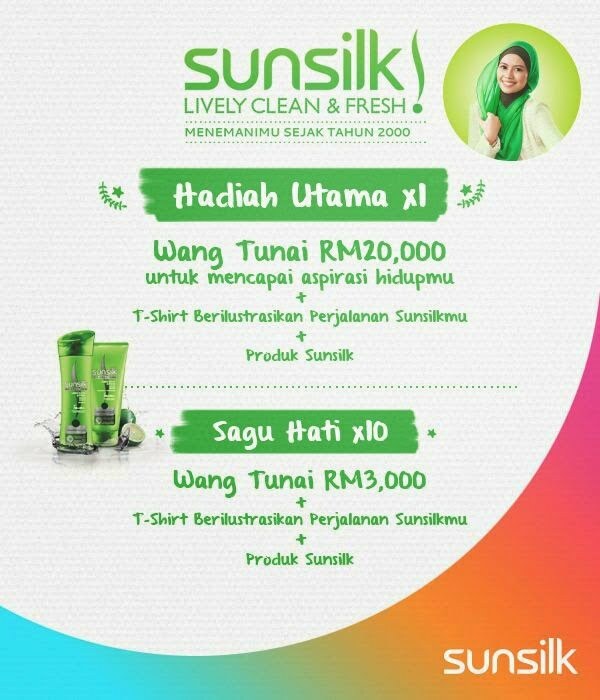 Sunsilk is also giving away 100 units Sunsilk Lively Clean & Fresh sample. All you need to do is fill in the request form. Only one sample will be given per household.